Soon that Easter bunny will be hopping down the trail. The kids are already asking about coloring Easter eggs. This card is for the challenge over at Give a crafter a cookie. This adorable image is from our sponsor Imagine That. Be sure to stop by and enter the challenge for a chance to win some free images. I used Spectrum Noir Markers and Diamonds Stickles for the sparkle. Thanks for stopping by today and leaving your comments. I look forward to reading them. Have a happy crafty day. Cute, adorable and I love the colors!! !Thank you for joining us at http://7kidschallengeblog.blogspot.com! Hope you will join our next challenge too! This is so cute! Love how you coloured the image. Thanks for joining the fun at the Sisterhood of Snarky Stampers! Very cute. 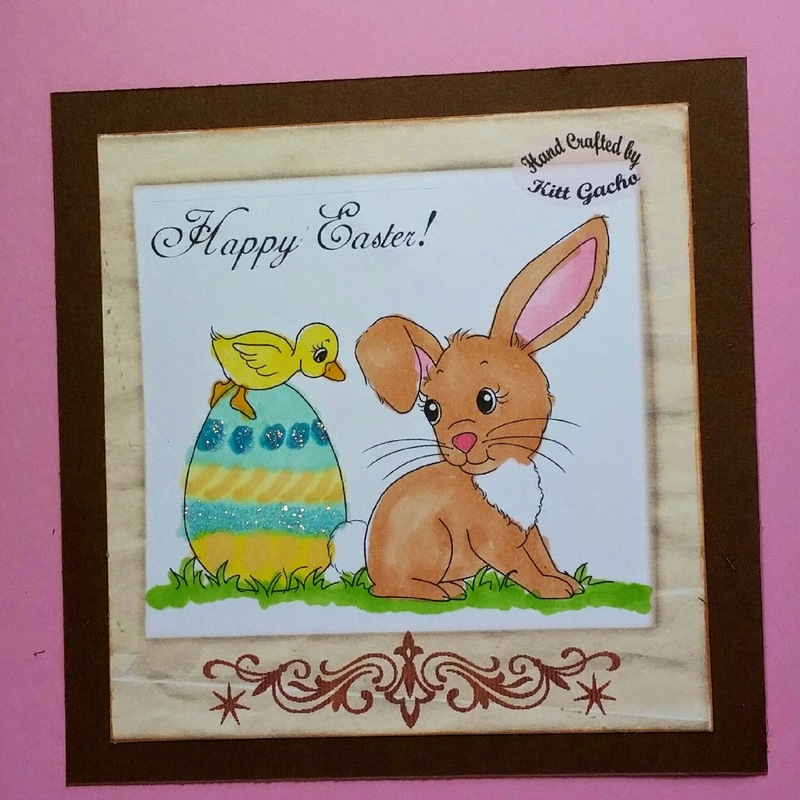 Thank you for joining us at Sisterhood of Snarky Stampers for our Easter Challenge. Great Easter card! Thanks for joining the Sisterhood of Snarky Stampers for our "E is for Easter" challenge!! What a cute image and fabulous card! Thanks for joining us at the Sisterhood of Snarky Stampers! Adorable card! Thanks for sharing with us at the Dazzling Diva Challenge. Fun Easter card, Thank you for playing in our challenge at http://www.7kidscollegefund.com.